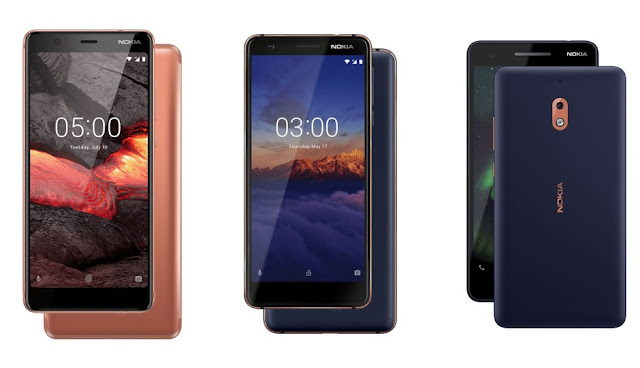 Nokia 5.1, 3.1, 2.1 Unveiled With Larger Screens & Better Chipsets, Indian Pricing Accidentally Confirmed - AndroGuider | One Stop For The Techy You! At an event in Moscow today, HMD Global made the Nokia 2.1, 3.1 and 5.1 official. The three smartphones are iterative upgrades to their predecessors, and that reflects in the naming too. 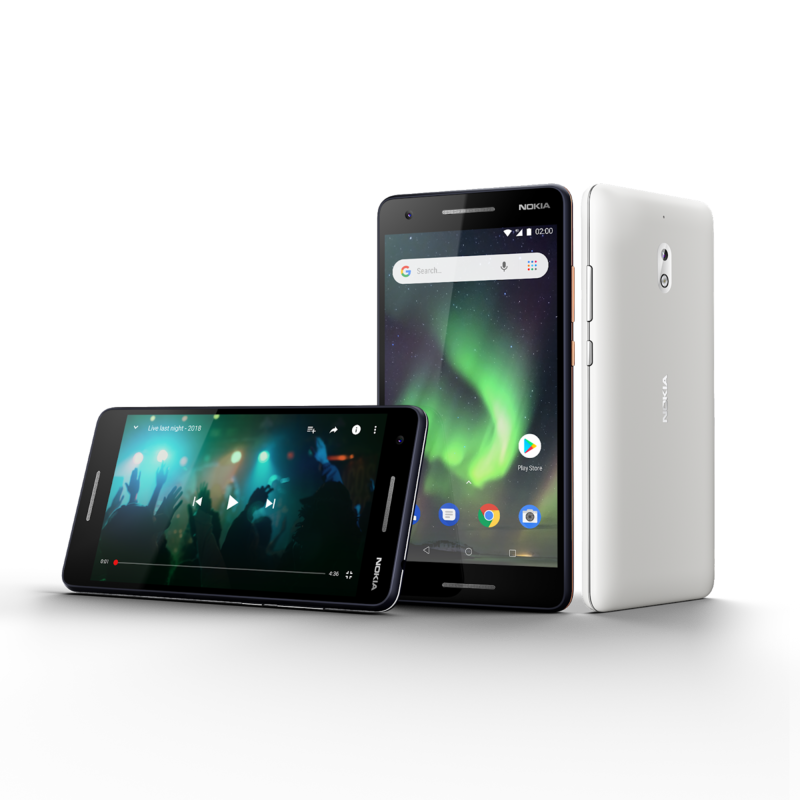 Last year's phones from HMD were named Nokia 2, Nokia 3, and Nokia 5, and for the smartphones announced today, HMD has added a '.1' to the end of the names of its previous smartphones. It was stated at the launch of the Nokia 7 Plus and Nokia 8 Sirocco that all the Nokia phones going forward would be a part of the Android One program. 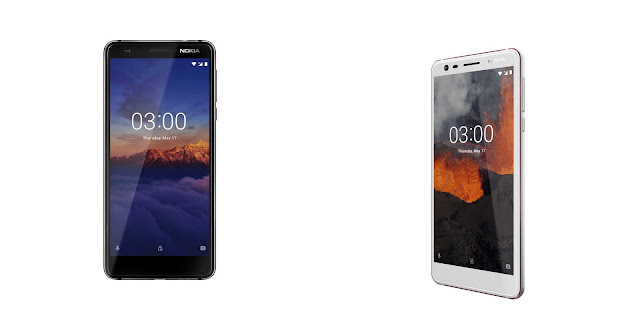 Hence, the Nokia 3.1 and Nokia 5.1 are Android One smartphones, while the low-end Nokia 2.1 runs Google's Android Oreo Go Edition. The Nokia 5.1 sports a 5.5-inch 18:9 IPS LCD display with FullHD+ resolution (1080x2160). As a result of the taller screen, the fingerprint scanner has been moved to the back and there are on-screen navigation keys in place of hardware capacitive keys. The display is protected by an unspecified version of Corning Gorilla Glass and the phone is milled out of a single block of 6000-series anodized aluminium. There is a single 16MP snapper at the back and the selfie camera is an 8MP sensor with an 84.6-degree lens for capturing wider selfie shots. The Nokia 5.1 is powered by the MediaTek Helio P18 which HMD claims is 40% faster than the Snapdragon 430 in last year's Nokia 5. The battery capacity has been reduced by a hair (30mAh). The Nokia 5.1 will be available in two variants - 2GB RAM and 16GB storage, or 3GB RAM and 32GB storage. The internal storage can be expanded via microSD. The phone will be available starting July in Black, Tempered Blue and Copper colours. The base model of the Nokia 5.1 will cost €189/$219. The price of the higher model wasn't revealed. The Nokia 3 was HMD's best selling smartphone last year, but given that this is an iterative upgrade, there aren't any huge improvements. The Nokia 3.1 has a taller 5.2" HD+ display (720x1440) in contrast to its precessor's 5" HD resolution (720x1280) display. As for the build, the 3.1 retains the polycarbonate back from its predecessor. The SoC has been upgraded to a MediaTek MT6750 chipset which in comparison to last year's MT6737 has double the cores. The MT6750 features eight Cortex A53 cores, four of which are clocked at 1.4GHz while the remaining have a clock speed of 1.0GHz. The rear camera is 13MP and the front camera, like the Nokia 5.1, is an 8MP shooter with an 84.6-degree wide angle lens. The 3.1 will go on sale in June at a starting price of €139/$159. The colour options include Blue/Copper, White/Iron, and Black/Chrome. Both the Nokia 3.1 and Nokia 5.1 have taller screens with 18:9 aspect ratio. The Nokia 2.1, on the other hand, features a 16:9 720p 5.5-inch IPS LCD display. Because of the lower aspect ratio, the bezels on the 2.1 are thicker than the other mentioned phones, but the bezel space is put to good use. 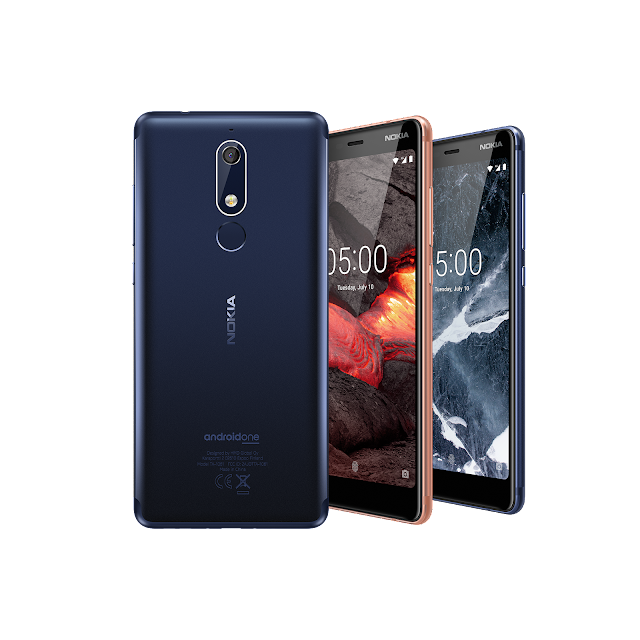 The Nokia 2.1 features dual stereo speakers, and it runs Android Oreo Go Edition which is a trimmed down version of Oreo 8.1. Google's Android Go initiative is meant to make Android run smoother on low-end hardware. The Nokia 2.1 has 1GB RAM with the Snapdragon 425 processor. The Snapdragon 425 is a big step up in comparison to the Snapdragon 212 on last year's Nokia 2. HMD says that the Nokia 2.1 is 50% faster. As for the cameras, the 2.1 has a front-facing 5MP camera, while the rear camera has a resolution of 8MP. The highlight of the Nokia 2.1 is its incredible battery life. The battery capacity is 4000mAh, which coupled with the low-resolution display, the power-efficient Snapdragon 425, and Android Oreo Go edition, should easily last two days on a single charge. The Nokia 2 (2018) will cost just €99/$115. It will be available from July in Blue/Copper, Blue/Silver, and Gray/Silver. The smartphones launched by HMD in Moscow are yet to be announced for India, however, HMD accidentally posted the pricing of the phones on Nokia's India website. The Nokia 5.1 was listed at Rs 12,499 and the 2.1 for Rs 6,999. The price of the Nokia 3.1 wasn't mentioned, but it should be around Rs 9,500. All the Nokia phones announced today will get two major Android updates, that is updates till Android Q, and security patches for three years.